A slightly different post from me today. I wanted to get a little more personal, as I think it’s good to be honest, and we’re not all perfect – in fact, what is perfect? I know that many of you may suffer similar insecurities to me, have similar hang ups or share similar stories, so I wanted to take this chance to open up about myself – namely, my skin journey. Ever since I can remember, I have suffered from eczema. From the word go, I was in and out of dermatologists, doctors’ appointments and so on. Over my 29+ years, I’ve tried just about every cream, ointment, bath oil etc. You name it, I’ve likely tried it. On top of this, when I reached my early teens, I started to suffer from large breakouts on my face. I would never claim to have had acne, but I certainly suffered with spots, some angrier than others, and some lasting longer than others. My worse areas were my chin, cheeks and nose. As a teenager in the mid-noughties, I had limited options in terms of skin care and makeup. What I thought would help, probably made things worse. I had terrible insecurities about it at school, and it continued through college and university. Over the years I got better at covering it up, but I would never dream of walking outside with no makeup on – something I’ve only just begun to embrace at 29. Back then, there was very little information about how to care for your skin (other than those terrible Clearasil ads!). There were very few beauty blogs, there was no Instagram and my favourite magazines at the time consisted of More! and Company. Being a student, I didn’t have the income to spend on products that I do now. Not that you need to spend hundreds of course, but I relied heavily on cheap makeup to cover up my blemishes, rather than a good skin care routine to help prevent blemishes. Fast forwarding through my twenties and my skin has got better – both my eczema and my spots. I certainly get less breakouts, but I still do get breakouts, some months worse than others, and when I get those really big and angry ones, I immediately think back to when I was younger and lose my confidence. On top of this, I have scarring and red patches across my cheeks and chin, from where I (very stupidly) would pick at my skin. When Skin Philosophy, a specialist skincare clinic based in South West London, reached out to me late last year, I jumped at the chance to meet them in person and have a consultation. I was interested to hear the thoughts of a professional, and to understand what treatments and products they would recommend, in helping relieve my skin. My consultation went well. 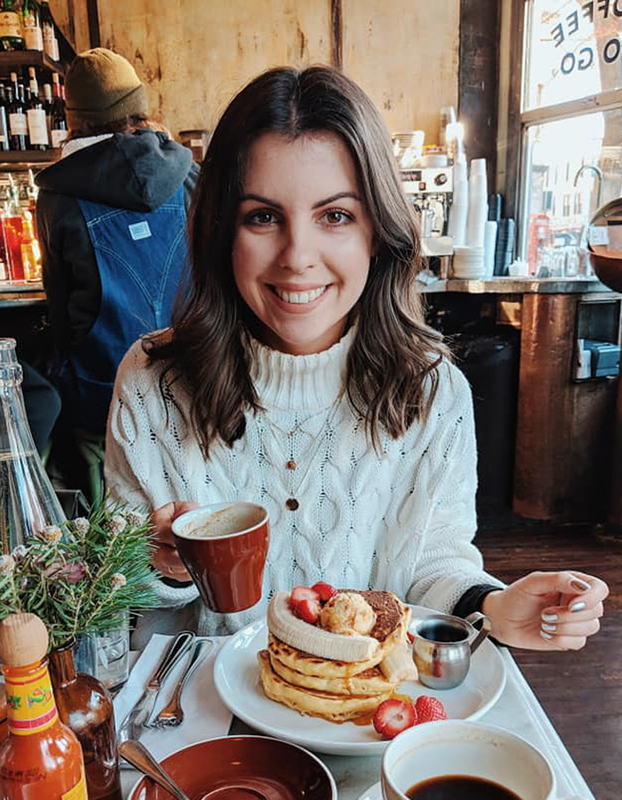 I felt comfortable talking to Anna-Louise about my skin, my hang-ups and insecurities, and my current skin care routine. After removing my makeup and cleansing my skin, she took a closer look and talked me through which treatments would be best suited in reducing the redness and scarring. Following this I quickly booked in for my first appointment, as I couldn’t wait to start my journey with Skin Philosophy. Skin Philosophy offer a number of treatments, including Skin Rejuvenation, Laser Hair Removal and Fat Freezing. In my case, Anna-Louise prescribed a Skin Peel, followed by Micro Needling. Having tried neither before, I was a little anxious but very excited to see the effects. Peels can be great for improving skin hydration, reducing the appearance of fine lines, and evening out the skin tone. For my first appointment, Maria (a specialist at Skin Philosophy) performed a Pumpkin Peel on my face, but before doing so, she began with a deep cleanse and exfoliation. Deep cleanse and exfoliation, using The Zein Obagi Range (ZO). We used the Foamacleanse and Exfoliating Polish. Following this was the Pumpkin Peel, designed to help balance my pH in order to prevent and treat breakouts, whilst also brightening my skin. It can also help with age management and treating acne and pigmented skin, such as my own. We then applied a Rozatrol, a normalising serum, ideal for calming red and sensitive skin, and helps with oil control. Finally, I was put under a Red LED LightMask, which helps the product absorb deeper in the cells, and also tones down redness, rejuvenates and stimulates collagen production. The entire treatment took no longer than 45 minutes. Maria made me as comfortable as possible, with a heated blanket (amazing) and a fan when the peel began to get hot (life saver!). I won’t lie, having never had a peel before, I wasn’t sure what to expect, and it did hurt. It didn’t hurt to the point where I couldn’t stand it any longer, but it did make my eyes water, and as I said, my face felt very hot. The fan was a must! However, the pain soon subsided when the normalising cream was applied. Before leaving the clinic, I was given an aftercare leaflet, detailing what to expect from my skin following a peel and how to care for it. I experienced some redness that evening, followed by a little flakiness the next day. However, it wasn’t until day 2-3 that my face really began to flake. The hardest part however, was not applying any moisturiser. It’s best to go as long as possible without applying any moisture to the skin, for the peel to work best. Going three days without washing my face or applying moisturiser was hard! Maria did say I could cleanse to remove makeup, but ideally it’s best not to wear makeup either. Skin peels are designed to remove dead skin cells and stimulate new cells, so following a peel the skin can be tender and you don’t want to clog it up by applying lots of makeup. Two weeks later, I headed back to Skin Philosophy for my second appointment, this time with Anna-Louise, who recommended a second peel. Although we could definitely see a positive effect from the first peel, Anna-Louise believed we could get more out of my skin, before trying Micro Needling. This time the skin peel was stronger than the Pumpkin Peel, and was quite painful again, but it’s an odd type of pain. It feels hot and almost like it’s stinging, meaning my eyes watered again, but with the help of a fan, I was able to withstand it for longer. This stronger peel helped lighten the appearance of my dark spots and pigmentation further, but because it used acids, my skin not only flaked, but literally shedded this time. My skin was red for the following 24 hours, and quickly began to peel. In total, the shedding lasted almost 4 days, and following this, I still had very dry skin for a further 1-2 days. I won’t lie, the peeling of the skin was tough. I held out and didn’t moisturise again for three days following the peel. But at the same time I was really sick, which helped in one respect – I didn’t go into work and didn’t feel the need to put on makeup – but it made me feel really down. I felt physically ill and mentally, trying my hardest not to pick at my skin (something near impossible for an eczema sufferer) and not add moisture when my skin was the driest it’s ever been. The only way I can describe it is that it felt like I had a face mask on – my skin felt tight – and it looked as though I had burned – that horrible peel you get if you burn. However, I am now out the other side, and can look back on those couple of dark days and think it was all worth it. If I hadn’t been sick at the same time, I know I would’ve been much more positive. And since both peels, my skin has felt smoother, more plump and has more colour to it. My dark patches have lessened and I’ve had fewer spots pop up. Obviously this is only the beginning, but I’m pleased with the results so far and excited for my next appointment… More on that to come! The photos above were taken before and after my first appointment. The difference looks minimal in these photos, I was still peeling during the ‘after’ photos and I had a hormonal spot pop up. However, the feel of my skin really has improved and no matter how small a difference so far, I’ve definitely seen a difference, which in turn helps self confidence. Have you suffered with your skin? Have you tried similar treatments? I’d love to hear your thoughts on my post and your stories. And please feel free to share any products you’d recommend. My next post will be up soon and I’ll let you know how I get on in my next appointment.